In large bowl, mix 2 lb ground beef, 2 eggs, 1/2 cup Progresso™ plain bread crumbs, 1 tablespoon kosher salt, 1 teaspoon black pepper, 1 teaspoon garlic powder and 1 teaspoon onion powder. Cut 4 oz block Cheddar cheese into 1/2-inch cubes. 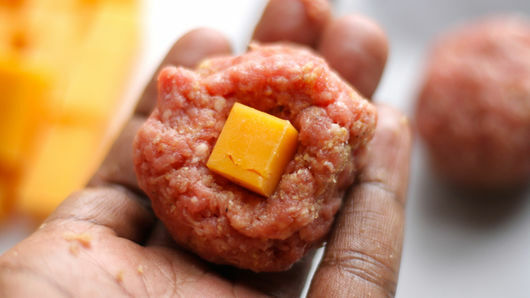 To assemble each meatball, surround 1 cube of cheese in beef mixture. Place meatballs on ungreased rimmed pan. Bake 20 to 25 minutes or until thoroughly cooked and no longer pink in center. Serve immediately. 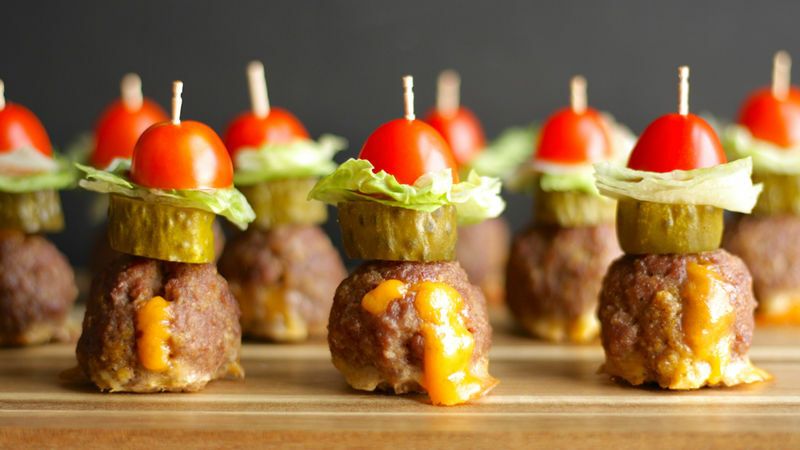 You can serve these as is, or dress them up by assembling with halved grape tomatoes, pickle slices and iceberg lettuce secured with toothpicks for a cute garnish. 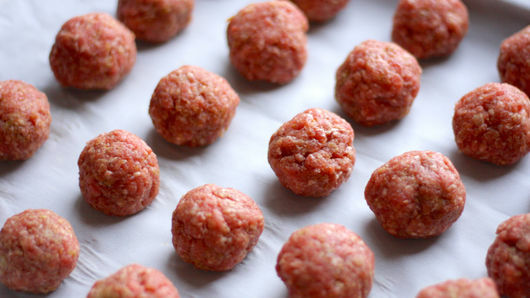 To help with cleanup, bake meatballs on cooking parchment paper or foil in case some of the cheese oozes out of the meatballs.